As a Paralympic Sports Club, one of our tasks is to inform the public about adaptive sports and invite people with disabilities and those who support them and other who have interest in adaptive sports to learn more about adaptive sports with “hands-on” activities. On April 10, Texas Rowing For All offered the public a chance to try out canoeing, ergometers and kayaking. Additionally rowing demonstrations in team boats were featured. We also partnered with the US Tennis Association in Austin, to also offer adaptive tennis at the Austin High School which is adjacent to our rowing facility at Texas Rowing Center. As part of the Paralympic Experience– Emma Prueschel, a US Paralympics National Team rower recapped her experiences in becoming a medal winning international rowing competitor with a high dose of motivation for all attendees who had the great fortune to hear her speak. The day ended with a delicious Texas BBQ and lots of time for making friends and learning more about adaptive sports. 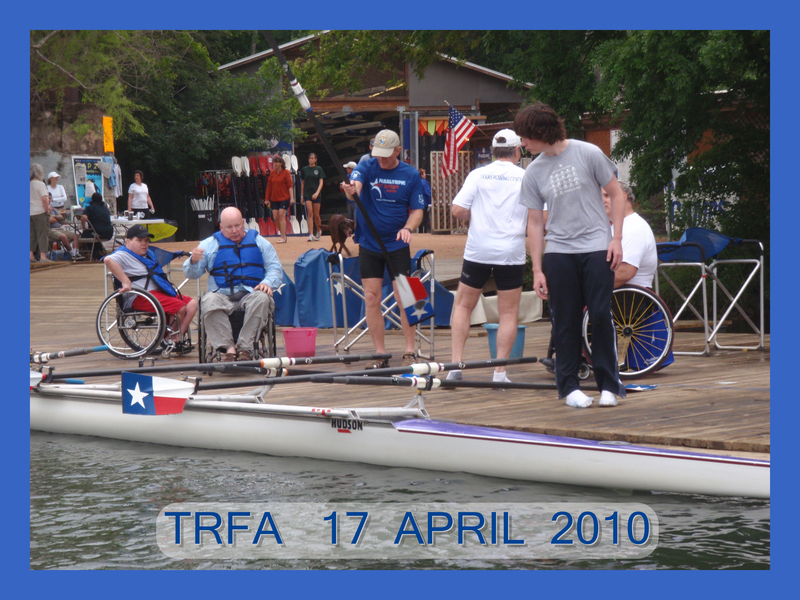 TRFA is planning on hosting the 2nd Paralympic Experience event on July 16, 2011–Be sure to check out the web-site often for Paralympic Experience event updates and more information.